If you are an international student moving to the UK for your higher studies, one of your top priorities is to open a bank account there. When sending maintenance money, your parents can send the money directly to your bank account in UK. You can then withdraw this money using the bank given debit card. Also, if working part-time your salary can be credited directly to your UK bank account. 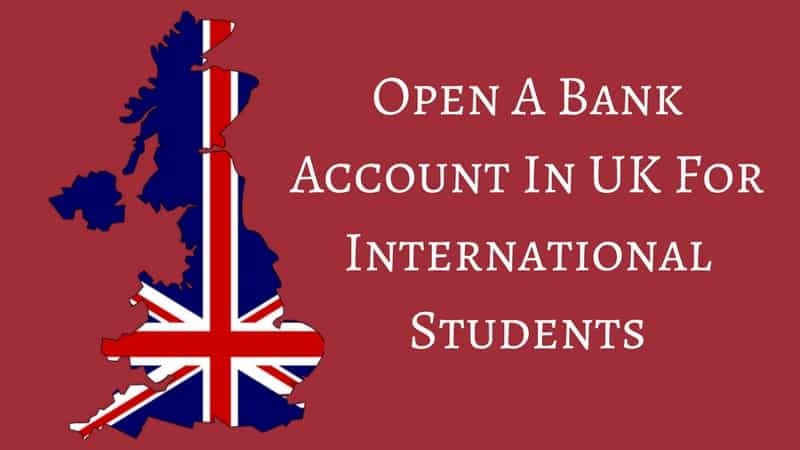 Offering so many advantages, let’s examine how to open a bank account in UK for International Students. In order to open a bank account in UK for International students you just need two documents. These documents are required for applying via both in branch and online. Yes, you can open a bank account online from your home country before heading over to the UK. However, opening a bank account from abroad may not work out so well. You might have to make a big initial deposit in the account. Regular deposits thereafter might have to be made every month to keep the account active. In addition to these requirements, some banks will also charge you a monthly fee! These can make your bank account expensive to open and run, especially if you still don’t have a job. Also, you may not be able to close the account and switch to a better deal until a set period of time expires. So considering these points, it’s better to open an account in person which is better for you in the long run. Barclays – Oldest bank in the UK with more than 1500 branches. Their international student account is free and offers cashback from various shops. You can also upgrade your basic bank account with student additions. These include a free overdraft of up to £ 3, 000 for three years and a contactless debit card. Lloyds – Lloyds has about 1300 branches throughout UK. They have an account specifically for students. This has a free overdraft of up to £1,500 for three years and an optional credit card with a minimum limit of £500. HSBC – HSBC has more than 1100 branches in UK. The biggest advantage of banking with HSBC is that it operates in more than 80 countries around the world. If you already have a bank account with HSBC in your home country, then you can easily set up a student account in UK before you go there. NatWest – Natwest has 1,400 branches spread all over UK. NatWest has an excellent student account where you will get a free overdraft of up to £2,000 for three years. Also, enjoy 33% discount on coach travel with National Express. Please Note: In UK withdrawing money from your bank’s ATM is free. However, some ATM machines are not free and may charge £1.50 and £3 per transaction. Usually the ATM machine will warn you of charges before you complete the transaction. When outside UK, using ATM’s won’t be free. When a foreign ATM asks you which currency it should charge you in, always choose the local currency. Otherwise, you’ll have to pay for an unfavourable exchange rate plus the fees charged by your UK bank. If you have any doubts, reach out to us in the comments below. « 7 Asian Destinations Offering Same Experience As Europe For Way Cheaper Rates!